Strategize UI design and Art Direction for the mobile and web app. Establish a clear user experience strategy and iOS design for the mobile product. Synthesized research, created wireframes and established a user flow. Understand habits and behaviors surrounding the preparation and cooking of meals. What does a typical cooking process look like? What do people have in their kitchen? What’s missing that they don’t readily have on hand? 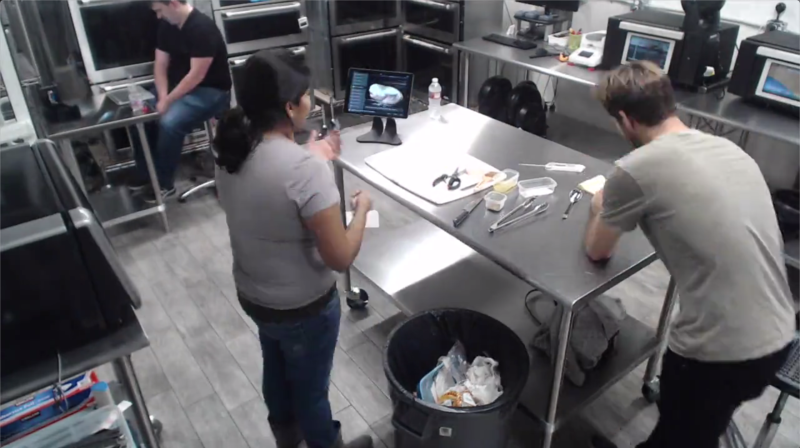 What technology is used (both in and out of the kitchen)? We know that utility alone is not enough to create a compelling experience. People have an intimate relationship with food that drive behaviors above the rational, technical and or everyday needs. Learning from primary research opportunities, research shows that we must include emotional connections to increase the chance of awareness, engagement and retention. Empower people to eat and live better by giving food a voice. Unlock infomation from food. Provide confidence. 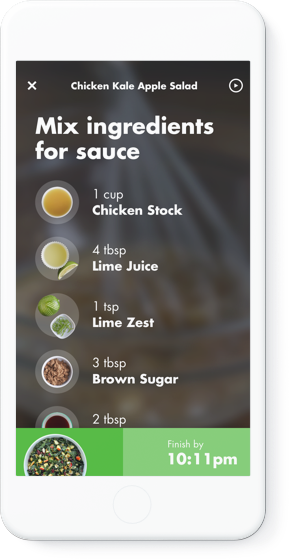 Innit automates and customizes dynamic recipes to the food you have at home. Inspire people to plan, cook, shop and eat. Providing dynamic recipes based on the food and personal preferences. 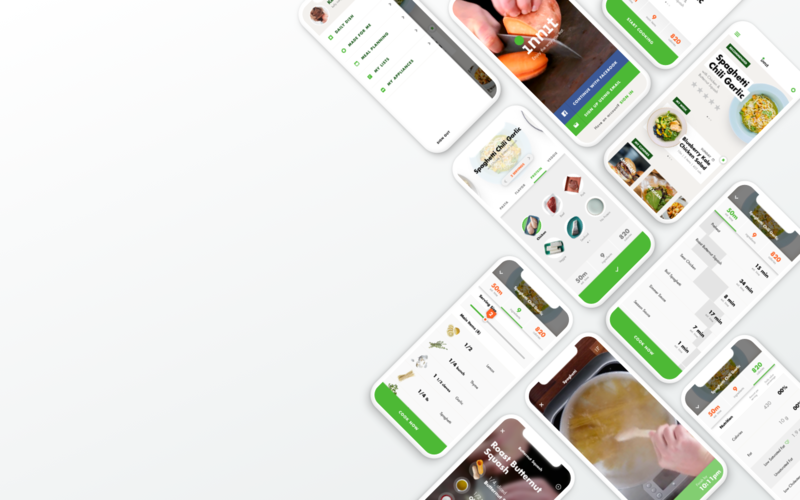 Simpify your cooking experience. Connect food with the appliances, making the overall food experience seamless and stress-free. Personalization, improved personalized nutrition and healthly eating. Sharing. Enjoy more with the family and friends at the table. 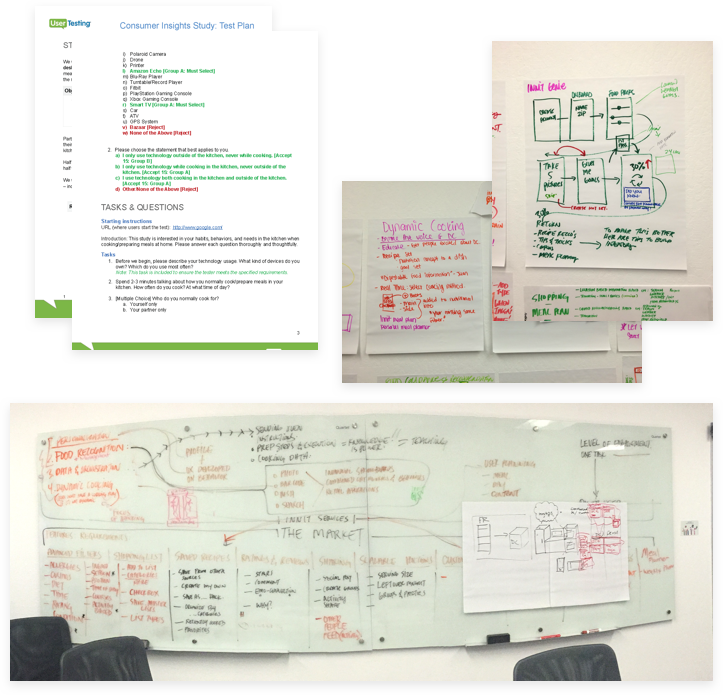 Through observing our users’ remote and on-site usability studies, we synthesized our findings to develop a comprehensive user journey and personas. This set the foundation for proceeding into feature idea conception. Personalized to you. 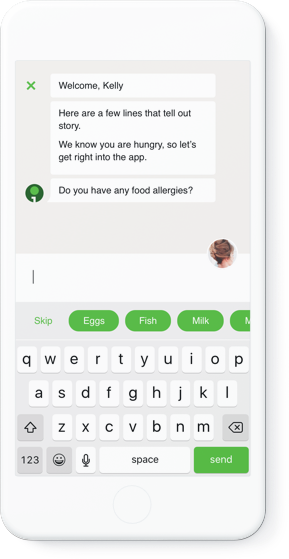 A chat bot that guides you through a set of questions learning your diets, allergies and personal food preferences. 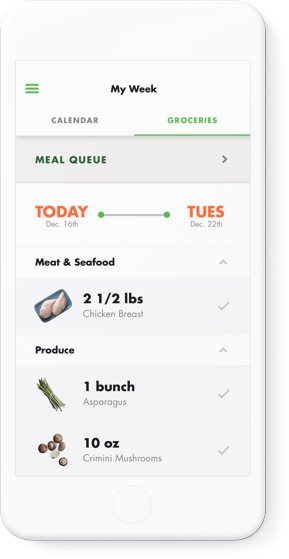 Personalized to you, Innit provides recommendations, schedules your meals weekly and stores your favorite recipes. New content is updated monthly based on seasonal trends and partnerships. Smart recipes can enhance a smart kitchen. 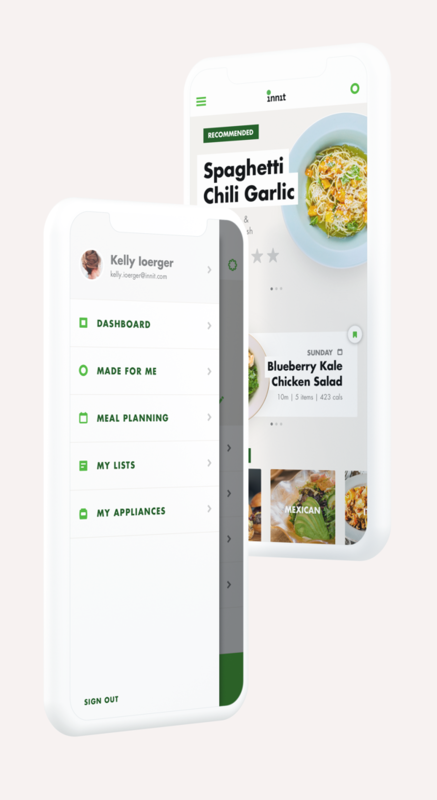 Recipes guide chefs of all skill levels towards cooking delicious meals by instilling the preparation process of each meal; through video tutorials that simplify tough to learn tasks; and through interactive features that connect with kitchen hardware. 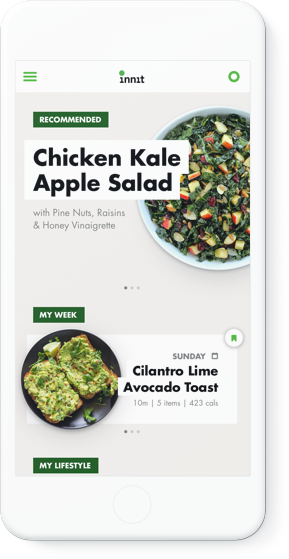 Innit’s current integration, Shop Well simplifies your shopping experience and helps you discover new foods that fit your lifestyle and schedule. It’s important to ask what kind of company we will become at Innit. Are we a technology company, or do we merely control the power of technology to deliver a more human-focused experience? It’s only through immersive recipe experiences that Innit can fulfill their consumer promise the machine learning technology that powers technology is unable to fulfill the promise of Innit. It’s the back end database that needs a front end design to actualize its power. Moving forward this is not sustainable, technology alone is not enough. Food is a universal human need to connect unlock a new level of scale.